Charles Cox married Lillian Mary Houghton, daughter of Charles A. Houghton and Margaret Amelia Kehoe, in May 28, 1918 at Hingham, Plymouth Co., MA, USA, she age 21. Edward Martin Adams married Alice Josephine Houghton, daughter of Charles A. Houghton and Margaret Amelia Kehoe, in Nov 23, 1921 at Hingham, Plymouth Co., MA, USA, she 17. Della Margaret Adams married Francis Nicholas Yannizzi in 1938. 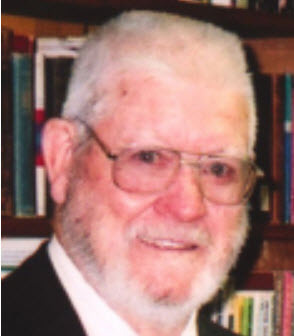 Burial Sep 9, 2014 Walter L. Houghton, 91, died in Bangor, Maine, August 29, 2014. Born in Hingham, Mass., April 20, 1923, Walter was educated in the Hingham school system. He worked many years for his grandfather, Charles Houghton, in the family business, the Hingham Boat Livery. He worked for over 33 years for the U.S. Government at the U.S. Naval Ammunition Depot, Hingham, and for the U.S. Post Office and Postal Service, Hingham. Walter served in the U.S. Army, 759th Military Police Battalion, Berlin, Germany. He was active in all sports, teaching roller-skating for Sholes Rollerdome in Dorchester and Hull and also playing football and baseball in the Quincy, Mass., park leagues. Walter was an avid candlepin bowler and golf player. Walter is survived by his daughter, Kathleen Houghton of Orlando, Fla; his sons, Robert Houghton of Orlando, Fla., and David Houghton; his daughter-in-law, Elizabeth Houghton; and his granddaughter, Samantha Houghton, all of Hampden, Maine. He was predeceased in 2012 by his beloved wife of 35 years, Ardith Clair Houghton. A graveside service for the family was held September 4, 2014, at Oak Grove Cemetery in Orland, Maine, with Reverend Peter Remick officiating. Arrangements were made by Mitchell-Tweedie Funeral Home in Bucksport, Maine. Walter Leslie Houghton married Ardith Clair in circa 1977. Anna Catherine Houghton married Conrad Joseph Trezza in Mar 6, 1943 at Hingham, Plymouth Co., MA, USA.